Should the cost of medicine affect treatment plans? 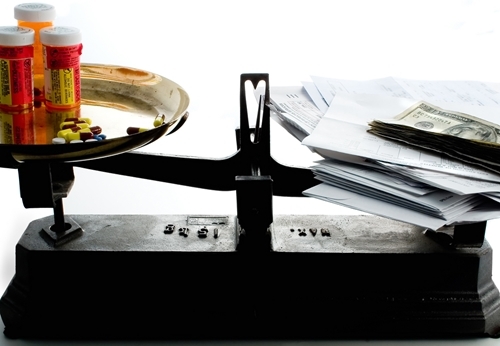 Home » Industry News » Healthcare Industry News » Should the cost of medicine affect treatment plans? In the recent past, doctors have been trained to ignore the cost of treatment and focus on providing the best possible care for the patient. Today, there is a heated debate within the medical community as one in three Americans struggle with medical debt. Some organizations feel that is it past time for healthcare providers to start considering the cost of different treatment strategies, while others protest and call the strategy "bedside rationing." The American Society of Clinical Oncology, the American College of Cardiology and the American Heart Association have all announced that they will begin to factor in cost when they rank treatments in their practice guidelines. "We understand that we doctors should be and are stewards of the larger society as well as of the patient in our examination room," said Dr. Lowell E. Schnipper, the chairman of a task force on value in cancer care at the American Society of Clinical Oncology in the New York Times. The rising cost of drugs has attributed greatly to the increase in medical debt. Take for example the two drugs Avastin and Lucentis. Both have found to be equally as effective in treating the eye disease known as macular degeneration. However, Avastin is $50 a dose, while Lucentis is close $2000. But because the FDA has not yet approved Avastin for use in the eye, Lucentis is prescribed more regularly for the condition. Of course, there are some in the medical community who feel that the cost of treatment should not be a factor in determining the best care practices. The cost of care continues to rise, and already many are postponing treatment in fear of debt. If your hospital or practice is currently struggling with insurance claims management, consider outsourcing medical claims processing to Professional Medical Services to increase efficiency and cash flow.